Maverick Transportation said on June 7 it will raise pay for its student drivers to between 47 cents per mile and 53 cents per mile, depending on what division they are assigned to. The company said this is the fourth pay increase for its drivers in recent months. The Little Rock, Ark.-based company in April raised pay by a nickel per mile for drivers in its over-the-road temperature-control division. Maverick said it also will give months-of-service credit for all drivers on the new pay-for-experience plan. All drivers, including student and experienced, will get pay for verifiable months of service, up to a maximum of 48 months. 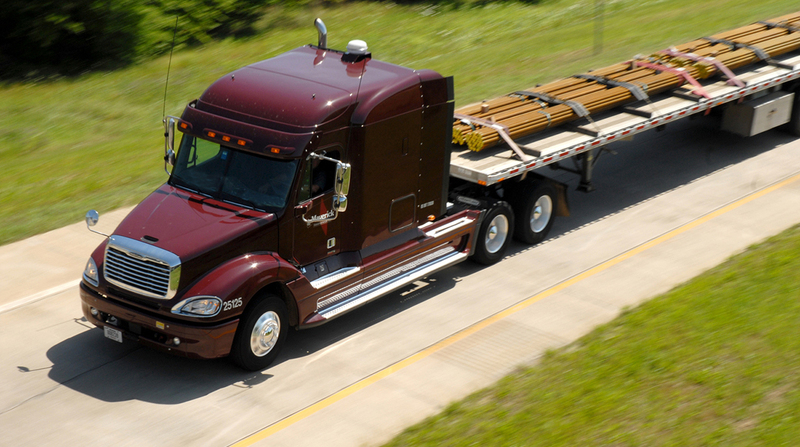 The company’s $5,000 signing bonus also now applies to all drivers with at least six months’ experience. “We recognize that it is imperative that our industry bring new entrants into the truck driving profession and we are proud to be a leader in creating that opportunity,” Maverick President John Culp said. Additionally, Cookeville, Tenn.-based Averitt Express said effective June 7 it is increasing pay for newly hired, experienced regional drivers who will see their pay increase to 46 cents per mile from 42 cents. For drivers with less than six months of experience, this rate will begin after they complete a company training program. The company said it is staying competitive by offering a driver referral bonus program and other increases when drivers meet safe-driving milestones and operational goals. The company also said it is guaranteeing drivers a 100% no-touch freight policy and the opportunity to drive solo after six months. “We’re proud to provide our regional drivers with competitive pay, as well as a great benefits package and positive working environment,” Averitt Vice President of Human Resources Elise Leeson said. Averitt Express ranks No. 31 on the Transport Topics Top 100 list of the largest for-hire carriers in North America. Jackson, Miss.-based over-the-road carrier KLLM Transport Services announced June 6 what it said was another major pay increase for company drivers, which means drivers have received a 30% pay hike in the past eight months. KLLM solo company drivers will receive 45 cents to 55 cents per mile depending on their levels of experience, with over-the-road teams receiving 55 cents to 60 cents per mile depending on experience. KLLM ranks No. 38 on the for-hire TT100. An American Trucking Associations report on first-quarter driver turnover at large fleets showed an increase by six points to 94% — a jump of 20 percentage points from the first quarter last year. Large fleets are those with more than $30 million in annual revenue. “With the economy having been as strong as it is, I think you’ll continue to see companies providing salary increases as a way to retain and recruit drivers,” ATA Chief Economist Bob Costello said.